Its Showering deals at Seventymm. With so many great offer live at seventymm, Here comes the new one. Get U.S. POLO T-Shirt and Wallet combo worth Rs 1598 at just Rs 499 only. To grab this at a steal price you have to follow the below steps. 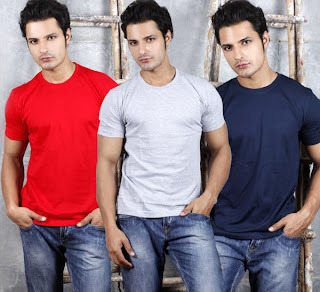 How to get U.S. POLO T-Shirt + Wallet worth Rs 1598 @ Rs 499 only? Bestylish, one of the famous place to shop footwear online, is back with its great offer names as " LUCKY SIZE SALE". 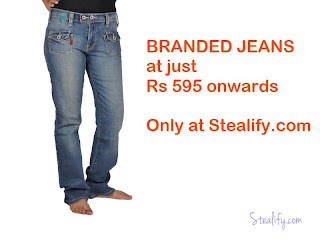 All the footwear under this offer is of Rs 999. It includes all branded shoes like Nike, Adidas, Woodland etc. There are around more than 110 Products under this offer but you have to choose if your size is available or not. As the stock is limited and offer is too awesome to grab, so chances are it will get out of stock very fast. How to get all branded footwear under this offer @ Rs 999? One after the another. 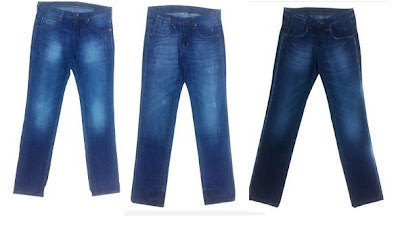 Here comes the another HOT Deal from eBay Sankalpdeals. 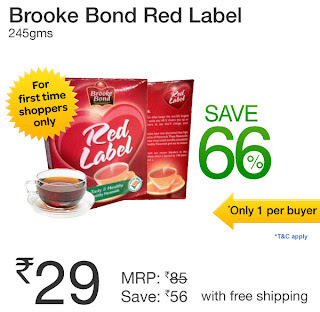 Get Brooke Bond Red Label (245 gm) worth Rs 85 at just Rs 29 with Free Shipping. You are getting 66% Discount. Its a Steal. 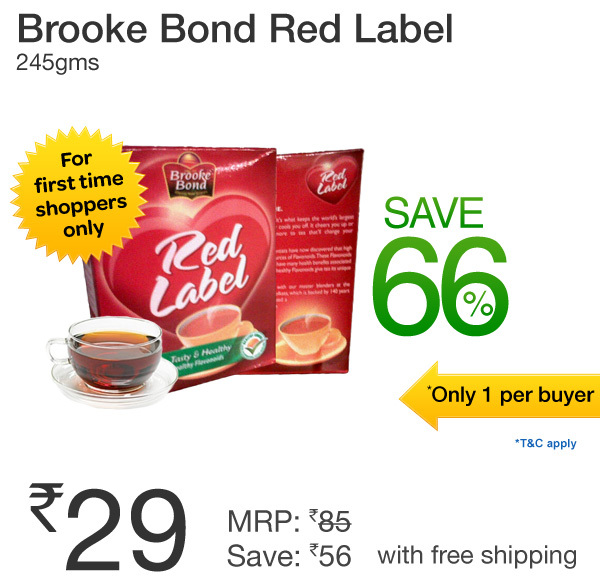 How to get Brooke Bond Red Label 245 Gm Pack worth Rs 85 at Rs 29?